A тew Center of Regenerative Medicine, one of the biggest in Europe, was open in Edinburgh. The £54million building is the first large-scale, purpose-built facility of its kind in the UK. A NEW research centre to find treatments for major diseases has been opened today by the Princess Royal. The Scottish Centre for Regenerative Medicine in Edinburgh will house scientists looking at conditions such as multiple sclerosis and heart and liver disease. They will carry out cutting-edge stem cell research to help find therapies for patients with conditions including Parkinson's disease and motor neurone disease. The £54million building is the first large-scale, purpose-built facility of its kind in the UK. It is funded by the University of Edinburgh, Scottish Enterprise, the Medical Research Council (MRC) and the British Heart Foundation through its Mending Broken Hearts Appeal. It includes the most up-to-date facilities in the UK to manufacture stem cell lines that could be used for patient therapies. Based in Edinburgh's BioQuarter, it was built in a partnership between Scottish Enterprise, the University of Edinburgh, NHS Lothian and Alexandria Real Estate Equities. 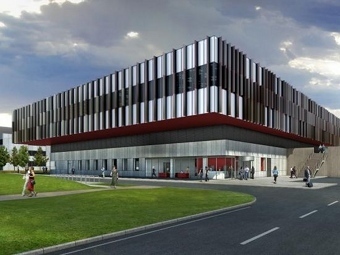 It is expected to become the first laboratory in Scotland to be given a building research establishment environmental assessment method (BREEAM) excellent rating for its sustainability, choice of materials and the efficiency of its design and details.